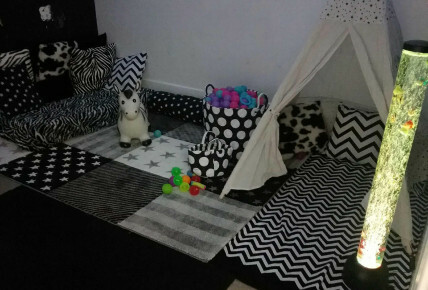 We have created a beautiful Black and white Sensory room in our under two unit, with a bubble tube, light up tubes and lots more sensory toys. We will be holding Sensory Classes very soon!! !